Would you like to study and travel at the same time? Want to include something extra in your resume to help you stand out from the crowd? 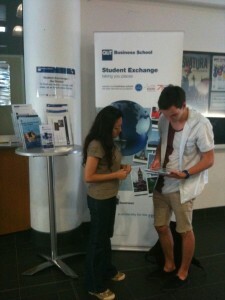 During the week of 4 to 8 March 2013 staff from the QUT Business School Student Centre will be available to discuss your exchange and overseas study options. Find out how you can fit an overseas study program into your QUT studies.